Kingdom of Hawaiʻi Tax Assessment and Collection Ledgers, 1863-1882. 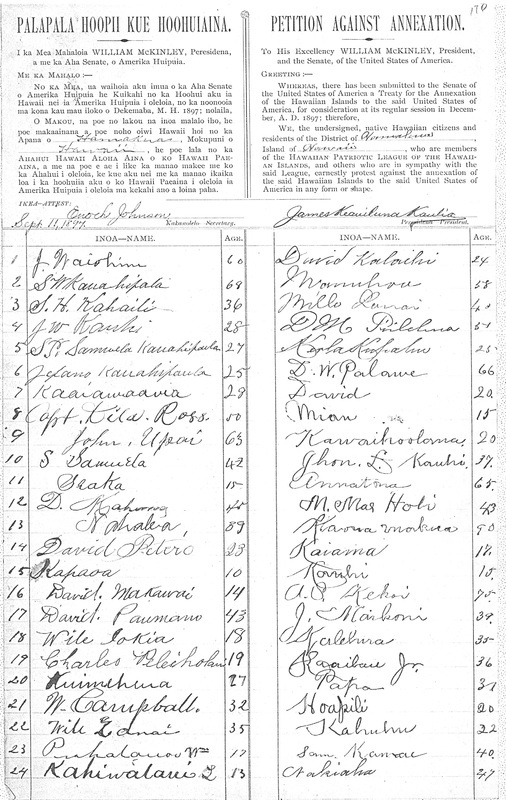 Kingdom of Hawaiʻi Census Records, Hāmākua Hikina, 1878. Palapala Hoʻopiʻi Kūʻē Hoʻohuiʻāina. Petitions Against Annexation of Hawaiʻi to the United States of America. 1897.